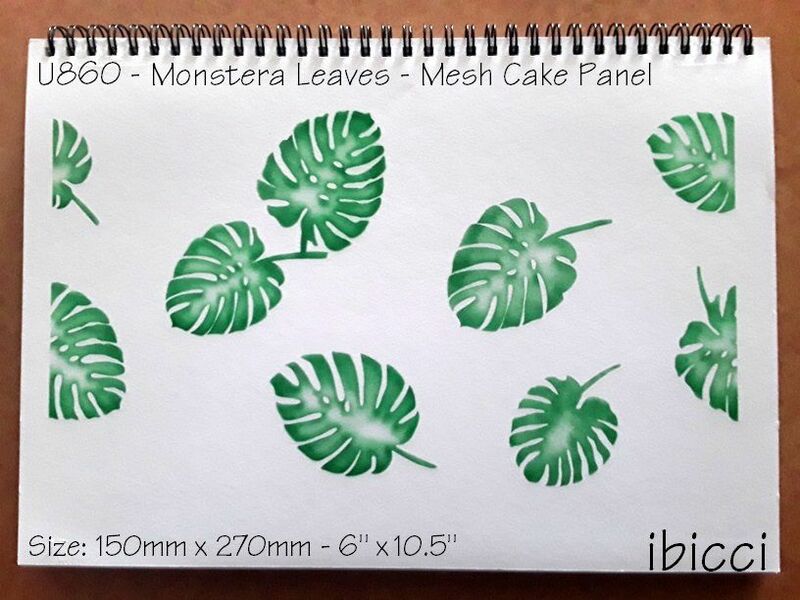 Designed for Amanda Jull - Amanda's Cakes in Auckland, this was the first in the Monstera Leaves Collection of stencils. Amanda wanted to be able to hand paint other tropical palms and leaves in amongst the Monstera leaves which is why it is called the Open design. 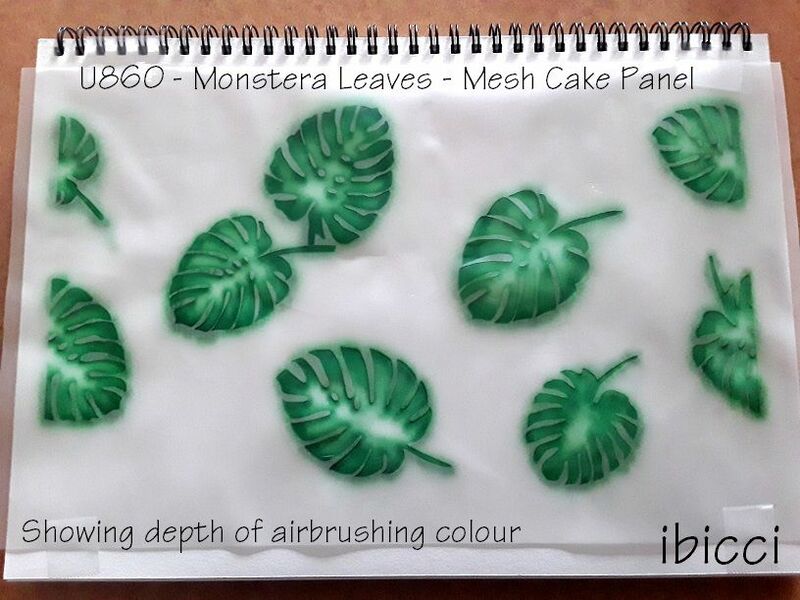 Mesh stencils are quick to use and enhance items you are decorating. Common ways of using stencils are with magnetic frames such as the Stencil Genie or Stencil Snap, by using magnets on the corners of the stencils, or simply held by hand, taped or with weights. 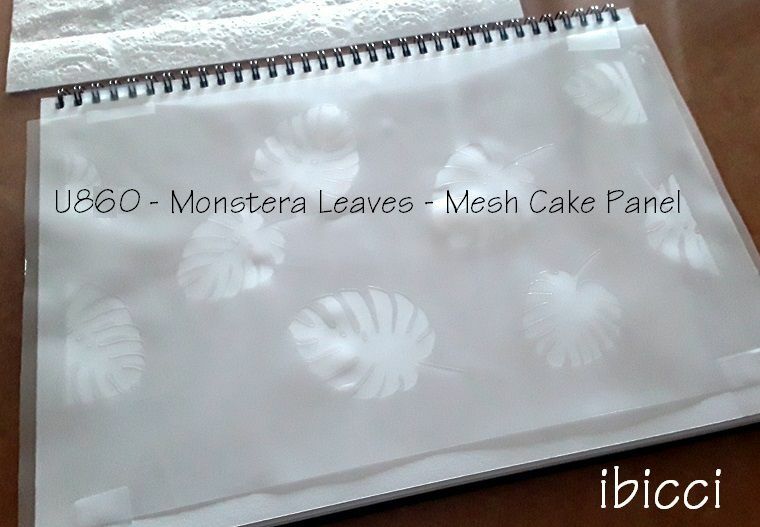 Cake stencils can be taped or pinned for use. The normal ibicci Cake Stencils measure approximately 11.75"x8.25” / 30x21cm and most designs are cut to allow the stencils to be trimmed as required for placement on the sides and/or tops of cakes. This stencil is larger than normal due to the 6" height design and strip style cake stencils may be smaller in height. These mesh stencils should be trimmed with a metal ruler and cutting blade. Care: Rinse gently with warm water, Do Not use hot water as this may cause warping. Lay flat to dry either smoothing in a clean tea towel or pat dry with paper towels. Ensure they are fully dry before storing. An iron may be used on a very low setting to flatten mesh stencils but care must be taken.